I like watching movies, because it entertains with me very much. I'm watching movies once a week. I'm borrowing DVD at TSUTAYA weekly. My favorite movie is"Shaolin Soccer". This is a Chinese and crazy soccer movie! I watched it many times and I was tired of watching it. My favorite genre of movie is action, fantasy and SF. My favorite actor is Rowan Atkinson. 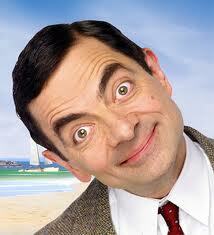 He is English funny actor and famous as Mr. Bean. Mr. Bean was really popular when I was a university student. He's amazing! I seldom watch movies but fantasy and SF are among my most favorite genres of books and manga. What movies would you recommend?